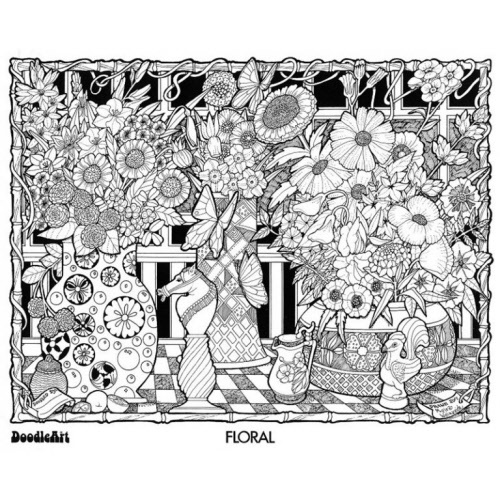 WARNING: DoodleArt is habit forming and should only be attempted by compulsive Doodlers of all ages! 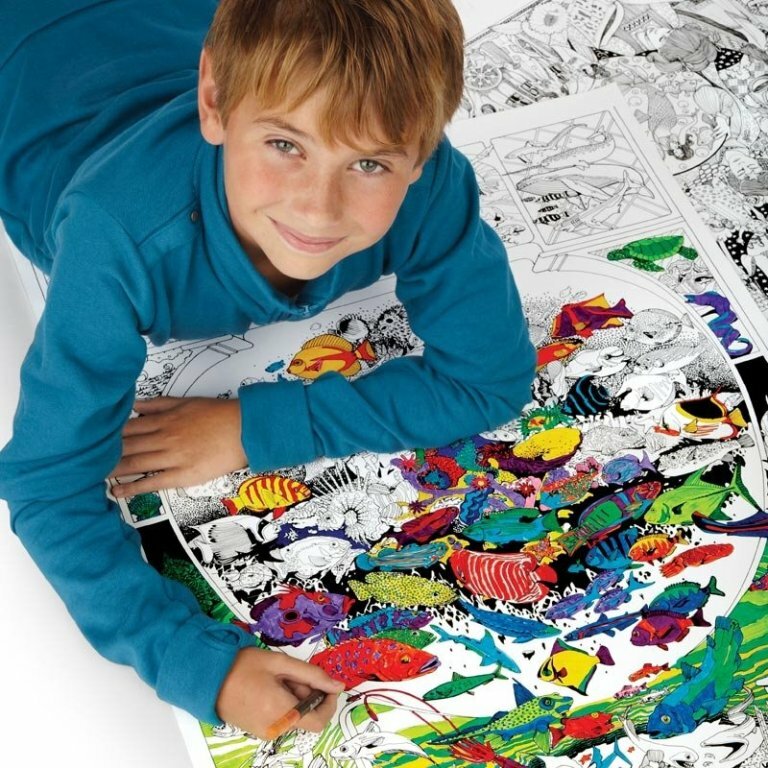 DoodleArt Mini Kit includes four different poster scenes to colour. Each poster is slightly larger than A4 and offer hours of colouring fun. Perfect for smaller colouring projects for kids who love to be creative! 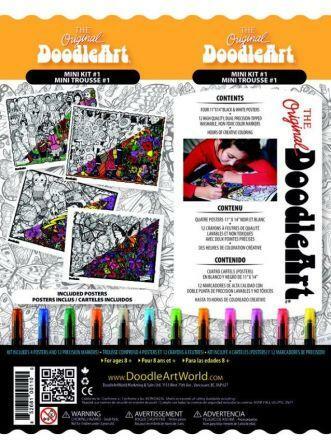 DoodleArt makes a fantastic family activity, kids project or hobby for anyone of any skill level. 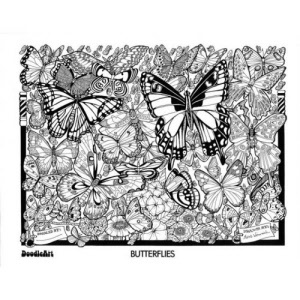 Once completed, your DoodleArt poster makes a great piece of art that can stand the test of time. All posters are the original images that were so successful when they were first created in 1972. 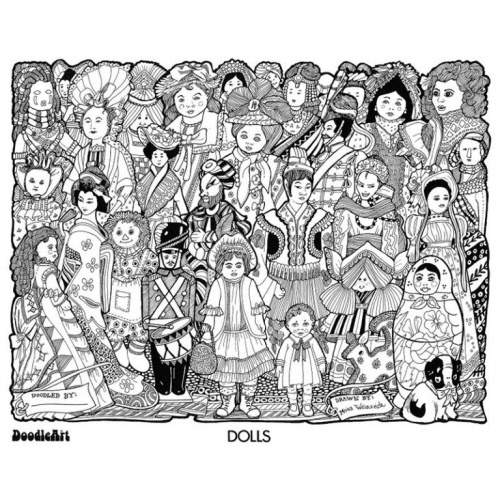 Poster is completely black and white ready to be coloured. Illustrated by Murray L Tonkin. All posters are of superior and archival quality. 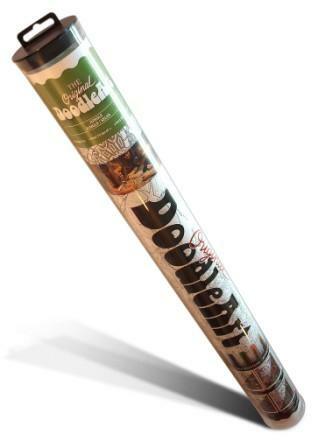 They are printed on 10% recycled, FSI certified, 100 weight poster paper. 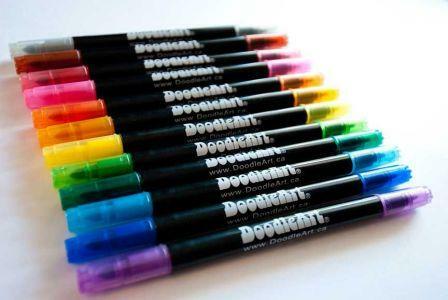 12 dual-tipped washable markers (chisel and fine point, non-toxic) with perforated end caps to reduce the risk of choking.